(UPI) — The Israeli army has begun destroying tunnels it says were dug by Hezbollah from Lebanon across its border with Israel. 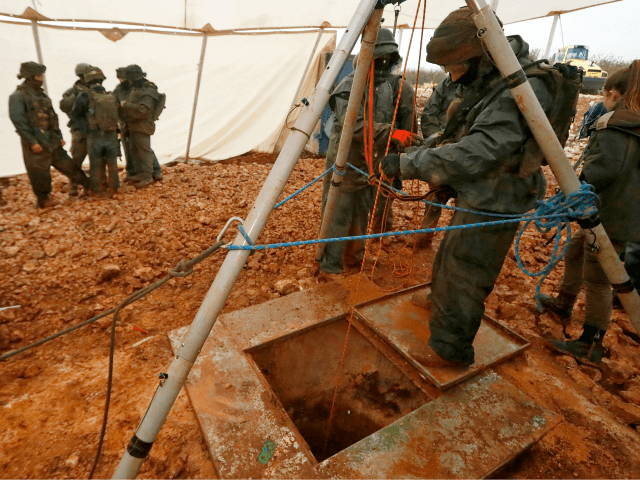 Israel Defense Forces blew up a tunnel dug from the Lebanese village of Ramia on Thursday night and “will continue its mission of exposing and destroying the tunnels according to plan,” Haaretz reported the army said. The IDF announced Friday that the operation had begun. So far, four tunnels have been discovered — with the latest one found earlier this week. Israel considers the Lebanese government responsible for digging the tunnels, which is “a serious violation of Israeli sovereignty and of Resolution 1701,” IDS spokesman Brig.-Gen. Ronen Manelis said in a statement obtained by The Jersusalem Post. Last Sunday, the IDF warned Lebanese citizens to “temporarily leave” homes. Israelis nearby also were warned the explosions could affect them. “Anyone who does so is endangering their life,” Manelis said, adding the army wants to make sure life is not disrupted. The army is planning to destroy the tunnels in different ways. Israel had contacted the Lebanese army via U.S. intermediaries, asking them to help locate and destroy Hezbollah’s tunnels in coordination with UNIFIL, the United Nations peacekeeping force in Lebanon, the Lebanese paper Al-Akhbar reported Tuesday. The IDF only plans to operate on the Israeli side of the border, and maintains that UNIFIL must act to destroy the tunnels on the other side. Israeli Prime Minister Benjamin Netanyahu toured the border last week. “If Hezbollah makes the mistake and decides in any way to attack us or to oppose our operation, they will be hit with unimaginable blows,” Netanyahu said during the tour.